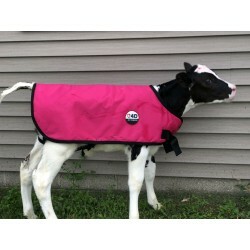 Our very popular 4-D Ag Fashion calf jackets. A calf coat is used in the first 6-8 weeks after a calf is born. The energy they normally put in getting warm is now going into growth.